30 Minute Sessions (Beginner) $132.50 Tuition is due the last lesson of the month. Payment can be made by check or cash. Tuition remains constant throughout the school year (August-May), and does not rise during months with five (5) lessons. Monthly tuition will always be pro-rated for lessons missed by the teacher. A registration fee equal to one month's tuition is due the last week of May. * There is no monthly tuition during June and July. This is a mandatory registration fee and serves to reserve your current lesson time spot for the following fall semester. Also included with the fee are 4 summer lessons that you can choose to have anytime during June and July. Extra lessons are available a la carte. *Registration fee does not apply to new students who start taking lessons in the summer. Students are required to begin lessons in August. If students decide to begin in September, then they must pay a reinstatement fee equal to a full month's tuition in addition to their regular tuition. There are no lessons during the week of in-home piano recitals. Homeschoolers are given a 10% discount for each student enrolled. An additional 5% discount is given to three-student families. Student and parent(s) must be interviewed before being enrolled. There is no charge for the interview. Students enrollment may be terminated at any point, at the teacher's discretion, if the student misses too many lessons, fails to attend recitals, is not practicing the required amount, or is not having a positive attitude about the lessons. Your presence shows your child your active involvement and interest in their musical progress. Your presence helps you to guide your child's practice during the week. Your presence helps your child to pay attention more. You will find yourself more interested and involved in your child's musical development. Students are encouraged to be available for every lesson. In case of an absence, please send an email () at least one day prior. Call or text if you need to cancel the lesson the same day (678-575-3885). Each student is given one (1) free makeup up day per school semester. Because the nature of the summer schedule, no make-ups will be given in the summer. Make-ups are offered the last Saturday of the month of the missed lesson. Make-ups can be made up other days if the teacher's schedule permits, however, other makeup days cannot be guaranteed. A student must have taken an entire semester before being eligible to receive a makeup. There are no sessions during the following holidays: Christmas Day, New Years Day, Labor Day, Memorial Day, and Independence Day. We do have lessons during spring and fall break. Twice a year, in-home recitals are held (one per semester). During those days, there are no lessons given unless an exception is given by the teacher. The group recital counts as the lesson. The tuition will remain the same during these months. Tuition remains the same every month and does not increase during months with five (5) lessons instead of four (4). There are at least three (3) months during the year in which this happens. These "free days" compensate for some of the missed lessons a student may have. The teacher will be allowed two (2) free lessons from each student at the end of December for vacation (Last two weeks of the year). The tuition will remain same during this month. All students are required to practice six days of the week. If they do not, then their progress will inadvertently suffer, lessons will drag, and music lessons will have a negative impact on them. Parents are expected and encouraged to establish a set time for each student to practice every day. Children cannot be expected to practice consistently without the regular impetus and discipline of the parent. Here are the required practice times for each level. There is a $5 recital fee that will be given towards refreshments, facility rental, tuning, etc. All families are required to pay the fee even if they are absent. The auditions are a wonderful opportunity for intermediate and advanced students to perform in a competitive environment. Students prepare two contrasting, original pieces from different time periods (Baroque, Classical, Romantic, Impressionistic, 20th Century/contemporary), and receive a grade and critique from a judge. Those who win, advance to the state level where they compete among the best of the best. These two events are absolutely mandatory for every student. Failure to attend may result in termination of enrollment. Both recitals will be concluded with an awards ceremony, acknowledging those who competed and placed at the competitions and others who have who have shown outstanding musicianship, improvement, or diligence. All students are required to participate in this event. Four student families will be hosting an informal recital in their home twice each year (winter and fall). 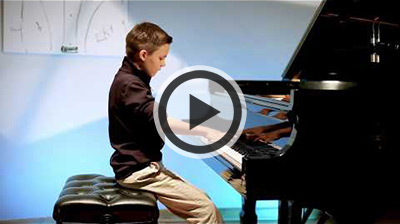 This informal recital gives new and apprehensive students a chance to perform in a non-threatening, pressure-free environment and build their confidence. It also gives students and families an opportunity to get to know each other better. Intermediate and advanced students have the opportunity to perform in a masterclass instructed by a college piano professor. Students submit a recording of one their pieces and six students will be selected to play and receive a lesson in front all the CMTA teachers and performing students. The masterclass will be held at Reinhardt College. This is another opportunity for the advancing student to play in competitive environment. Students prepare two contrasting pieces from the Romantic era and will be rated according to the stylistic components of that particular era: expression, individuality, nuance, "singing" rubato, and technique. The event is held in the fall at Southern Keyboards and the dates will be announced. Any student who wishes to permanently stop taking lessons, must give a notification one month prior. Tuition is never refundable for terminated enrollment.